Ch. 37 covers how Dr. Diethrich actually initiated endovascular therapy at the Arizona Heart Institute, the beginning of a new treatment revolution. It covers the beginnings of the Hot Tip Laser and its’ popularity and use in treating blockage. It also covers once again, Dr. Diethrich the innovator … developing endografts in his lab, which later became commercial products. 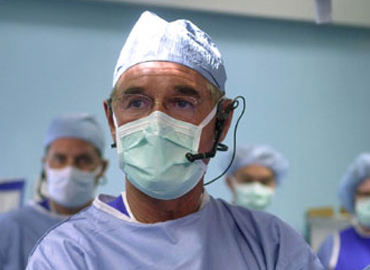 In 1994, Dr. D performed another first … the first live case demonstration of an endovascular procedure. Another interesting note was that in medical school Dr. D had a spoon band … and continued playing spoons for many years to counter the stress of his work. Interviews with Marv Woodall and Mr. Donald Reid.